These elegant timepieces present superior quality and intellectual intrigue whilst gently persuading the observer to appreciate and contemplate the passing of time. 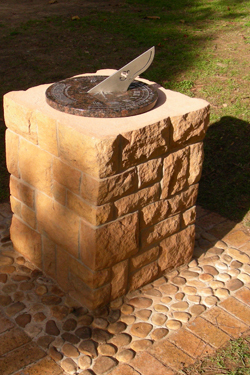 The ancient art of sundial crafting with its accurate solar time readings elevates this product beyond brand promotion and the simple garden ornament. 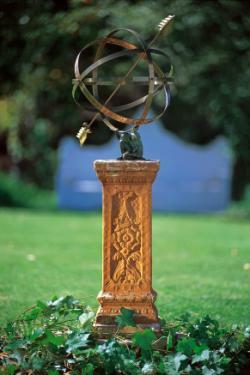 Offering location specific sundials for both the Northern and Southern hemispheres, Sundials Exclusive individually crafts solid brass and bronze horizontal sundials, solid brass armillary spheres, analemmatic walk-on sundials and vertical sundials to your specifications. Each is engraved with a quality control number which ensures the high standard set by the Sundials Exclusive team. 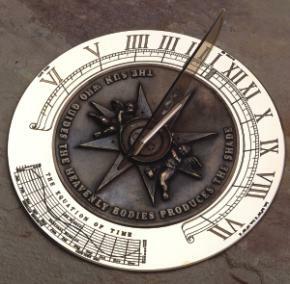 The Sundials Exclusive solid brass engraved horizontal sundials are ideal for extensive personalising; the large range of design options offer a variety of styles that makes selection, especially as a commemorative gift, pure pleasure. 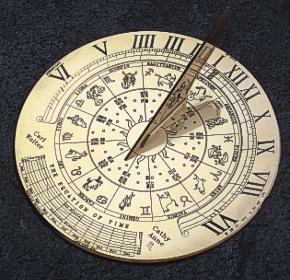 Designed for the garden landscaper and gardener, the solid brass and bronze profiled horizontal sundials in four designs all featuring the equation of time diagram can be crafted in antique bronze or antique Verdigris, both with solid brass outers. 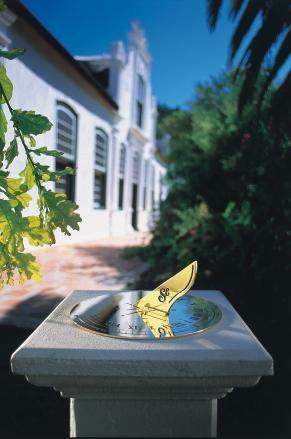 These interactive analemmatic sundials are perfect for public places and homes alike. Stand on the current date with your arms raised above your head and your shadow will show the time. 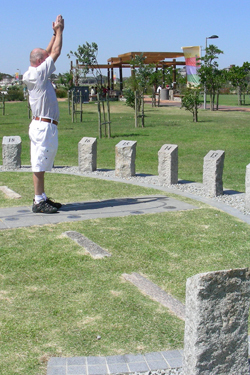 The perfect sundial for public places, personalised to your required design and crafted from solid granite in the colour and size of your choice. With the solid brass rings representing the outer sphere of fixed stars and the centre symbolising earth, these ancient astronomical instruments show solar time when the arrow, corresponding with the earth's axis, casts a shadow on the equatorial band displaying the hour lines.